If you’re not yet sold on the Nokia Lumia 920, despite having an impressive features list, and are still looking for another reason why you should get it over the iPhone 5 or the Galaxy Note 2, we’ve got a good one for you today. According to reports, the Nokia Lumia 920 will sell for just a little above $500. There are also great Nokia Lumia 920 bundles on offer such as one that that will throw in an additional wireless charging pad and a bluetooth headset for a mere $700. The Nokia Lumia 920 is Nokia’s upcoming Windows Phone 8 flagship device. It boasts of a 4.5 inch IPS display with a resolution of 1280 x 768, an impressive 8 MP Camera with PureView technology and Carl Zeiss optics, a dual-core 1.5 GHz Snapdragon processor with 1 GB RAM and 32 GB storage. It will also come with NFC support, a feature that some say was sorely missing on the iPhone 5. So what do you guys think? 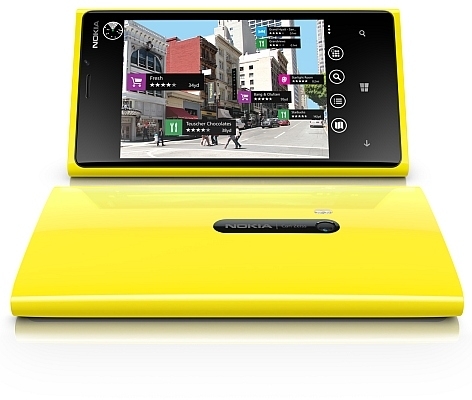 Does Nokia have a surefire winner with the Lumia 920? Could this be the phone that catapults them back to the top? Share your thoughts in the comments below!